Collection of episodes featuring the adventures of the popular children's character and his various animal friends. 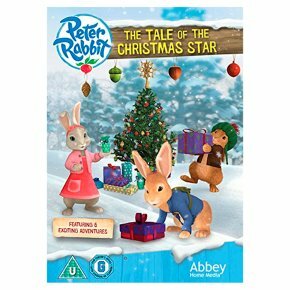 In this instalment, Peter (voice of Connor Fitzgerald) tries to give everyone what they want for Christmas and the rabbits build a spectacular sled. The episodes are: 'The Tale of the Christmas Star', 'The Tale of the Thing-a-ma-jig', 'The Tale of the Spectacular Sled', 'The Tale of Cotton-tail's Tooth', 'The Tale of Sleepy Hedgehog' and 'The Tale of Musical Mayhem'.